Judy Croome : The Book Trailer and Amazon voucher giveaways! The Book Trailer and Amazon voucher giveaways! ﻿As I've been quiet in the social media the past week, you won't be surprised to discover that I've been a busy little bee! The learning curve of my independent publishing journey continues to rise steeply providing exciting challenges, some frustrations and, mostly, a sense of accomplishment. The latest mountain...er, hill...er, bump on the road to publication was getting the book trailer designed and created. Given skills direction by the lovely and talented Michelle Davidson Argyle and music direction by the equally lovely and talented Jessica Bell, I created and designed the book trailer for "Dancing in the Shadows of Love." And because I'm so excited with how this trailer turned out, I've decided to spread that warm fuzzy feeling around. This is an open competition, so everyone (and I mean everyone!) can enter. FOUR (yes, 4!) Amazon.com gift vouchers of US$25 are up for grabs. (South African winners can get the equivalent rand value gift voucher for Exclusives, CNA, Kalahari or Loot, if they prefer). Watch the video book trailer above. Then CLICK HERE to go to YouTube and press the LIKE button on the youtube video to enter the draw. If you leave a comment on the youtube video, as well as clicking the LIKE button, you get an additional 2 entries into the draw. So you'll have 3 chances of winning an Amazon voucher of $25! 1. Let me know if you've clicked the LIKE button - I'll only know you've done it if you leave a comment on youtube OR leave a comment here. 2. Winners will be announced on 22 April 2011, the same day as the winners of the "Notes from Underground Anthology" winners (followers, you can still win in that competition, see below). 3. If you're not a follower, please leave your email address so I can contact you in the event that you are a winner. Or else, check back to see who the lucky winners of those $25 Amazon vouchers are! Later, when I've caught up with my outstanding blog visits, I'll do a more detailed post on the actual creative process of the making of the trailer! So, what do you think? Will it make you buy the book? And, watching the trailer, what genre would you think the story falls in? If you're a follower, remember to leave a comment for another chance to win one of those four copies of the brilliant anthology of short stories "Notes from Underground" that are up for grabs! Competition details HERE. I loved the trailer. Especially the soft shades of grey. Many thanks and good luck with the book. The book trailer for Dancing in the Shadows of Love is simply awesome! Beautifully haunting best dang first attempt I ever saw! Well done! haunting music, Judy. I like the trailer. Well done. Intriguing ... not sure the genre. The trailer gives a Borges feeling or something akin to Umberto Eco. Nicely done. Good job!!! Very artsy. I love the music. A beautiful and haunting trailer. Nicely done Judy. I left a thumbs up, but for some reason youtube wouldn't let me post a comment. WOW! I am so impressed, Judy! Seeing that my luck usually isn't all that good, how much are you selling Dancing in the Shadows of Love for? Clicked like and left a comment. BRILLIANT, Judy, simply brilliant. I had to join youtube and the comment is awaiting approval or something. It sent chills up my spine. Shoot yeah!, it makes me want to buy the book. xxxxxooooo from C and me. Judy, I watched it via your FB post yesterday, and again today--It's really beautiful, and you definitely piqued my interest! This does indeed make me want to read the book! It's intriguing. Nice job! 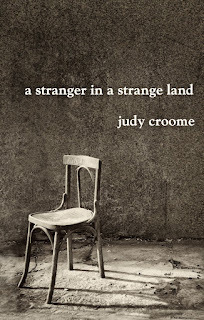 Evocative, haunting, and suffused with promised conflict, this trailer would encourage me – even if I did not already think highly of Judy Croome – to purchase her novel. I absolutely hit Like on the YouTube trailer. Lovely trailer, Judy (anmd very clever, too). I couldn't leave a comment - there was some problem. But veyr good luck with the book! It's a very haunting trailer, but it does have one problem, which is that it doesn't give me a clue about what the genre is, or where and when the book is set. Your book cover doesn't really communicate that either, although I am guessing "literary." I came here from Michelle's FB status. I didn't know anything about the book, but that's a lovely trailer, haunting, trailer. I'm intrigued. I love the cover too. Just watched (and liked/commented on :) the trailer. You have been busy! Congrats on all the work you've done. I'm thrilled for you. And I'd agree that, so far, the story seems to have a literary fiction bent ;). liked and commented on the trailer..:) [my username is mayybeme].. The trailer is intriguing and I really liked how the music worked with the visuals.. I'm off to check out yours. Good job. Of course I clicked LIKE! The music fit and it was a good length. The genre? Now that's tough since I can barely figure out my own. I don't think there was enough info to tell what the genre is, but if I had to guess I'd say somewhere between women's, literary, and suspense. AMANDA: You make me laugh! Glad you found it haunting, that’s the feeling I was aiming for. Thanks! DAMARIA: I was so pleased to find the music – it’s described as “mellow, with soft African flutes”, it was practically the first tune I listened to and I knew it was “the one,” so it’s good to know it worked. STEPHANIE: Thanks! Isn’t it amazing what a difference music makes? BISH: Oh dear! I wonder why youtube was being difficult? I’ll add the extra draws because I know you would’ve if you could’ve! Glad you like the trailer! ROBYN: I’ve approved your comment – I put a filter on, I wonder if that’s what caused the problem for Bish? So glad you like it!. Xoxoxoxoxo for you and C! JB: That’s really going the extra mile – to watch it twice!! Thanks JB, much appreciated. Glad I piqued your interest! I’ll be revealing the blurb in a couple of weeks! JUDITH: Gosh. You’re such a sweetie. Thanks Judy! :) I’m also so glad you picked up on the “promised conflict.” I’m just slightly worried that the trailer promises too much. Oh well. This is all a learning curve for me! TARA: Thanks for your insightful comments – as I said above everyone has really struggled to identify a genre for this book! That’s why I’m tossing it out into the world in the hopes that from reviews and crits I can kind of find a genre home for the poor story! It’ll probably end up being one of those interstitial novels, without a real place to call home! Unless there’s a genre called spiritual fiction (different to Christian fiction)? LINDA: Welcome! So glad to have you! And I’m so glad that, seeing the cover and trailer “cold”, you still loved it – that tells me it passed its first test! :) Will add you to the draw! MARILYN: Thanks for comment/like and your moral support! 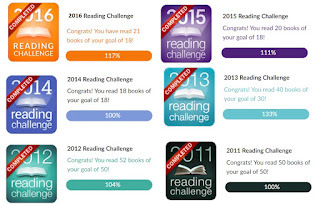 Oh dear – the literary fiction votes seem to have it at the moment, but it’s definitely not literary! LAVANYA: I wondered who mayybeme was! And thanks, I’m pleased with how it came together – it’s simple but does seem to hang together ok! STINA: I was ambivalent, because I was worried that with such a short span of time , how could one ever tell all. But then I discovered all those cursed query letters I wrote did have a purpose – a book trailer is like a visual pitch in a query letter, except you’re pitching to readers not agents. And that’s when I clicked how to find what to focus on! Hope you enjoyed it anyway! YVONNE: So glad you mentioned the length , it was Michelle’s advice to keep it around a minute. And LOL! Glad I’m not the only one having trouble with genre identification! Women’s yes, literary, I don’t think so, suspense, definitely no (There was another track of music I liked but it made the trailer seem too much like a mystery suspense novel which it’s not, so I went back to this piece which was more haunting and otherworldly. Judy, I thought your traier was wonderful. The music and photos were haunting. I'm guessing your book is a ya paranormal??? Well done! This trailer brings the reader in so quickly. This is wonderful. Very well done Judy. I wish you all the best :) The music is great. Hi Judy!! The trailer was incredible!! It was very haunting and makes me want to read the book so that I can find out how her story ends up! I am following your blog too because I am waiting to see when this book comes out!! Awesome trailer, you are very creative, an artist and a writer. It draws you to the story and you may want to purchase it. Congratulations Judy, this is really an exciting time. I didn't see the trailer, but the cover is definitely alluring. It's something I would see at the bookstore and immediately feel the need to flip through the pages to see if it's worth reading. Hi Judy, thanks for your comment. It was so sad to hear of the lady who has lost everything. There's horrible things happening all over the world. SHARON: Thanks for the follow! :) And glad you enjoyed the trailer. I’m really struggling to identify the genre – it’s a little bit of spiritual fiction (which is different to Christian fiction) and a bit of fantasy and a bit of romance. Soooo…if I’m confused, I haven’t a clue how the reader’s will feel! KELLY: I was so lucky with the music – it was the first tune I listened to! And I hope the book itself brings you in as quickly as the trailer! ANGEL: Great to have you on the blog! And thanks so much for liking and commenting on Youtube – I’ve had nearly 160 views already, I can hardly believe it!! The book will be out in about mid-May, but I’ll tweet and blog about it! OCEAN GIRL: You are so right, I’m finding this a very exciting time and learning so many new things! JAIMIE: Welcome to the blog! If you like the cover, the previous two posts give you lots of info on it. The artist who painted the trailer is incredible and gave such a super interview for me. NIKI: Thanks for the follow! And also a big thanks for going to all the trouble of actually opening a youtube account (not easy, I struggled, because it kept on rejecting my logins!) Will enter you in draw x 3! I really like the trailer and the music is beautiful. You could post the video on your blog or website. Do you know how to do that? It's easy. Email me if you don't. ...riveting trailer Judy! Enjoyed how the music captured the mood. I'm not a member of Youtube, but clicked the LIKE icon, therefore, count me in! You've earned a sale already! I came by to tell you I just read your Whispers of Love story. The characters are so vivid, and the tension over the game was well built. That competitiveness was palpable. The rhythm of the story had a steady climb to it, and an easy ending. Made me sigh for both the loss of Charlie and Tony. I'm sure the water colors picture is beautiful in color. Have a nice weekend, and good luck with the sales of your novel. Hi Judy .. eventually got here - fixed YouTube .. left a comment and a like .. I'm looking forward to getting the book - it's so evocative .. or seems so to me .. would love to jump ship and visit SA now! Looking forward to reading the creative process - when you get a chance to write it. HELEN: As always, your generous offer to help is much appreciated; I’ll email you off-line ‘cause I couldn’t figure out how to get the video to fit. ELLIOT: Thanks for clicking and you’re in the draw! We’ll definitely have to (hic) share a glass of cyber champagne in gratitude once our books are out! HILARY: I saw and approved the YouTube comment; thanks for going to all that trouble! And stay home – we are *freezing* and wet and miserable; it’s been like that for four days and seems set to stay. Winter has arrived here in "sunny" South Africa:( And, yes, the support I’ve got has been simply awesome; I am so thankful that so many people are good-hearted and supportive!